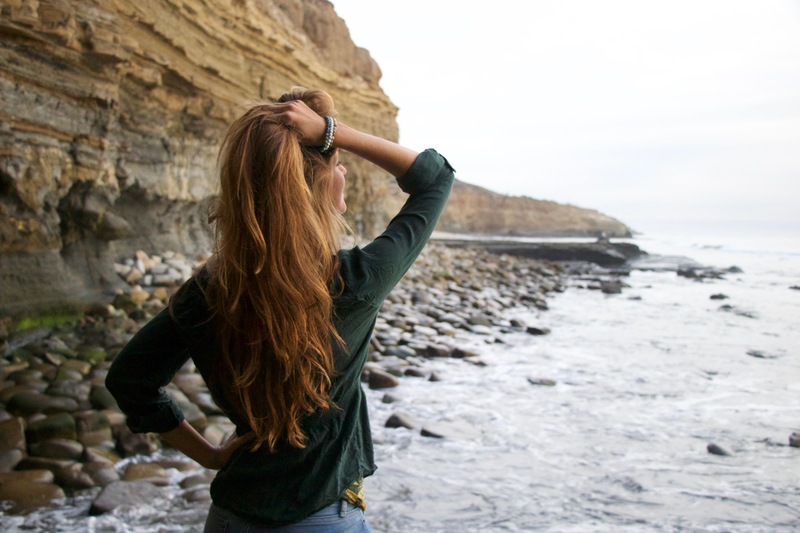 Whether you’re going to the beach or not, you can get beach curls and look like you just stepped off the beach with simple DIY recipes using essential oils. Let’s take a look at the 4 essential oils used in these recipes—all of them are great for your hair. Lavender essential oil—promotes hair growth, helps prevent hair loss, relieves itching; has antimicrobial, anti-fungal, and antiseptic properties; soothing to the scalp and is great for all hair types—normal, flaky, dry, and oily. Lavender helps control dandruff and keeps your hair shiny. Rosemary essential oil—improves hair growth and thickness, stimulates the roots, helps prevent baldness, promotes healing, and increases circulation in the scalp. It can also slow graying. Like lavender, it’s good for dandruff and dry scalp, minimizing itching and flakes. Rosemary is ideal for all hair types—from dry hair to oily. It can help prevent split ends, too. Lemon essential oil—especially beneficial on very oily hair, helping to dry up some of the excess oil, although it’s also beneficial for dandruff and flaky scalps, due to its antiseptic benefits. Lemon stimulates circulation, which helps increase hair growth. Effective against lice. Use at night so as to avoid the sunlight, as lemon is a phototoxic essential oil. Peppermint essential oil—good for any hair type, oily to dry; opens the pores producing a balanced flow of oils. Its antiseptic and antimicrobial properties help treat dandruff and lice. It reduces skin inflammation, promotes hair growth and thickness, and stimulates the scalp. When you are ready to use your DIY Beach Curl Spray, shake well, spray on damp hair, scrunch hair with your hands, and air dry.